The SuperSleuth Minder has been released soon for "guard duty" on building sites, vacant properties and sensitive sites. The system can detect intruders in specified area of interest by video motion detection. The intrusion is first detected by a passive infra-red device and then confirmed by video analysis. Hence, the incidence of false alarms is negligible in any environment. 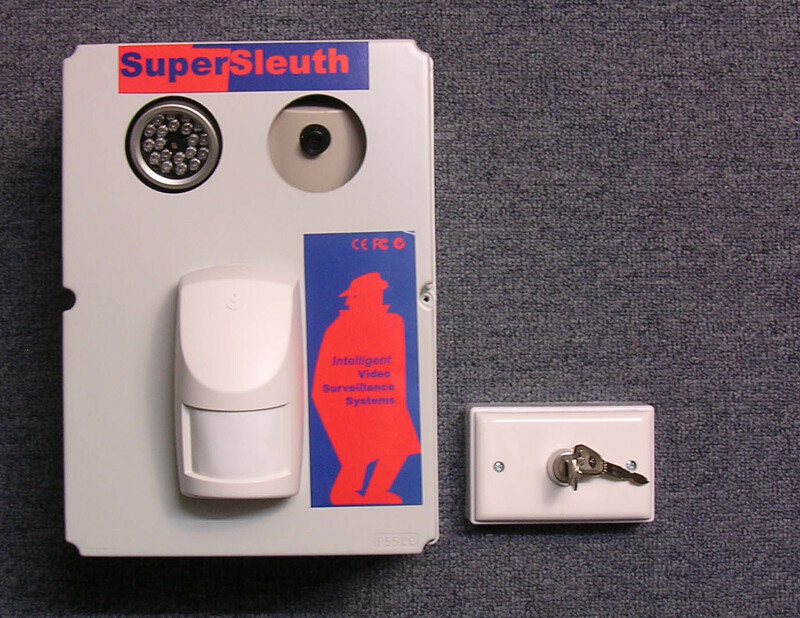 The system comprises the SuperSleuth Wise intelligent camera, a halogen light, GSM modem, passive infra-red detector and battery, housed in a metal case with a keypad or remote controller. The installation of the Minder System is simple as no cabling or power is required. Just bolting it to the wall or ceiling completes the installation. The Minder is entirely self contained which makes it easy to transport from one location to the next, as required. The system will detect any intrusion and snap images with time and date. When alarmed, it will send the alarm image to an automated SuperSleuth Receiver. The first image will be sent via MMS to a designated mobile phone. As SMS can be sent as an alternative. The cable joining the keypad to the system is tamper proof. Cutting or shorting the cabling will not disable the system. A remote control version is also available. The sealed lead acid battery is re-chargeable but should last 1 to 2 years under normal operations. Up to 500 colour alarm images, arranged in a rotating database. When the SuperSleuth Minder is installed and activated, there is an exit delay. Thereafter, the passive infra-red device monitors any intrusion. On detection of an intrusion, the IR lighting and SuperSleuth Wise is powered on and Wise analyses the movements in the specified area. On confirmation of movements, it starts taking images with time and date. On entry, Wise is programmed with an entry delay. If the system is not disabled within the entry delay time, the alarmed images will be transmitted. Note that the database could hold images of all entries made if programmed. This may be useful for access identification.